By John F. McKenna (McJack): Former eight division champion Manny Pacquiao (54-4-2, 38 KO’s) still can’t decide who his next opponent will be. The latest speculation is that the Filipino icon is having a difficult time deciding whether he should fight new WBO welterweight champion Timothy Bradley (29-0-12 KO’s) or WBO lightweight champion Juan Manuel Marquez (54-6-1, 39 KO’s). Until last week, it was thought that Manny sought a rematch with former (super) WBA light middleweight champion Miguel Cotto (37-3, 30 KO’s). Cotto would have been a logical choice. He has huge drawing power in the Puerto Rican community and gave a better than expected account of himself last May against unbeaten superstar the current (super) WBA light middleweight champion Floyd Mayweather Jr. (43-0, 26 KO’s). But fate intervened when Miguel rejected a fight with Pacquiao and opted to fight undefeated (regular) WBA light middleweight champion Austin Trout (25-0, 14 KO’s) at Madison Square Garden in New York City on December 1. With Cotto out of the equation Pacquiao was left with Marquez and Bradley. Both opponents have their drawbacks. If Pacquiao does not return to form and put forth a compelling performance against Marquez and God forbid lose a decision to “Dinamita” his chances of ever having a mega fight with Mayweather would be gone forever. And a loss to Marquez would be a distinct possibility. All three of their fights were close and could have gone either way. On the plus side Marquez is popular in the Latino community and has huge drawing power their. There is no reason to believe that a 4th Pacquiao – Marquez fight would not do well in the lucrative Pay Per View (PPV) market. 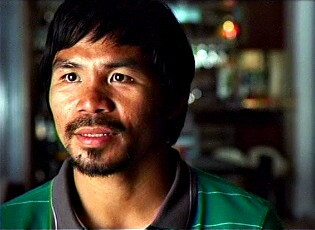 For that reason many boxing pundits feel that Pacquiao will choose Marquez as his next opponent. The down side for a rematch with Bradley of course would be his anemic drawing power. No one really believed that “Desert Storm” would emerge from his June 9 clash with Pacquiao with Manny’s WBO welterweight title. He was only chosen to be an opponent for “Pacman” when Top Rank CEO Bob Arum could not put together a fight with Mayweather or Cotto last May. In essence Arum was stuck with Bradley. The best laid plans of mice and men fell apart when Pacquiao was robbed of his WBO title by an insane decision. Since that time Bradley has not helped himself in getting the rematch he wants so badly by constantly shooting off his mouth. Pacquiao would undoubtedly want to take back the WBO welterweight belt that was stolen from him. The problem is that “Pacman” will not receive the kind of compensation he has been become accustomed to over his last several fights if he once again takes on Bradley.